Insurance will ensure that your gadget is covered for any sort of damage or theft and this is vital. Travelling abroad with expensive gadgets will put the local thieves on high alert and they will try all sorts of tactics to take your gadgets from you but on the other hand you might be the clumsy type and drop your phone into your Mojito or leave it in the pocket of your swimming trunks whilst fine tuning your backflip off the diving board. Either way, protection is key and insurance will ensure that you are fully protected regardless of what happens to your gadget. If you are thinking that you already get travel insurance so you are covered, think again. Nowadays most travel insurance won’t cover your gadgets, you will need a separate plan or to add it separately. Staying in touch when abroad really is simple these days, never have truer words been spoken than when a well-known telecoms company used the slogan “it’s good to talk” but also remember that “it’s not good to rack up a massive date roaming bill”. To overcome the potential of coming home to a huge bill it is always worth finding out about the costs of purchasing an international SIM card for your phone so you can receive free calls in most countries and also reduce roaming charges by up to 95%. For your tablet of iPad you can grab a worldwide data SIM card that gives low cost prepaid internet wherever you are in the world. For any electrical gadgets that may be used on a beach, around a pool or trekking across rivers, storing them in a waterproof case will work wonders. The cases are available for most gadgets these days and some will even let you use them in the water to take photos – or watch a movie under the sea if you really want! Rather than splash out on an expensive case a good quality Ziploc bag will do the trick (test it with just paper in first). 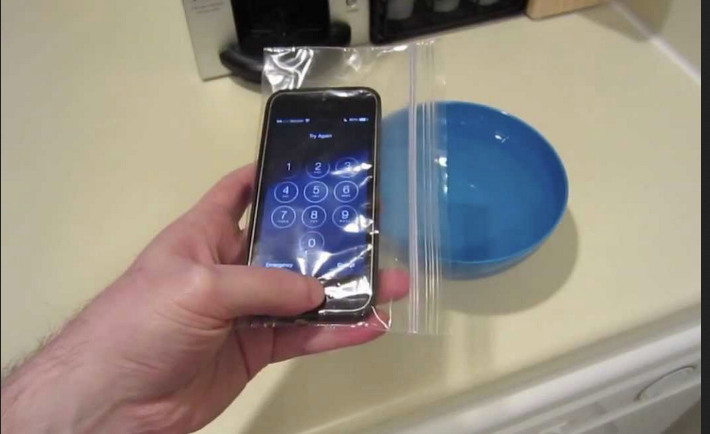 If you are travelling in humid places keep your devices in Ziploc bags always as moisture can seep in and send electronics a bit loopy. Our gadgets are constantly in our hands, we never want to let them out of our sights but this puts them at risk of being dropped and smashed. Whilst this cannot be completely eliminated there are things that we can do to make them sturdier. One option is gorilla glass screen protectors. These sticky, bendable screen protectors stick onto your screen and keep it free from scratches and smashing (there are numerous YouTube videos that show people hitting the glass with hammers but I wouldn’t recommend trying this!) You can also be extra save and get a sturdy case that will protect your device if you drop it.